Ruby is an object-oriented programming language developed in the 90s of the last century. The main goal of the creator Yukihiro Matsumoto, was that the language is distinguished by facility and rapidity of writing programs. Every day Ruby is becoming increasingly popular among programmers, and this is due to the many advantages it has. Still keep wondering, if Ruby on Rails is a perfect choice for your project? Let’s check together the most popular sites built with Ruby on Rails. Indiegogo - very popular crowdfunding platform, founded in 2088 by Danae Ringelmann, Slava Rubin and Eric Schell. Great start to fund your project and increase popularity, especially for startups. Every developer should be there. 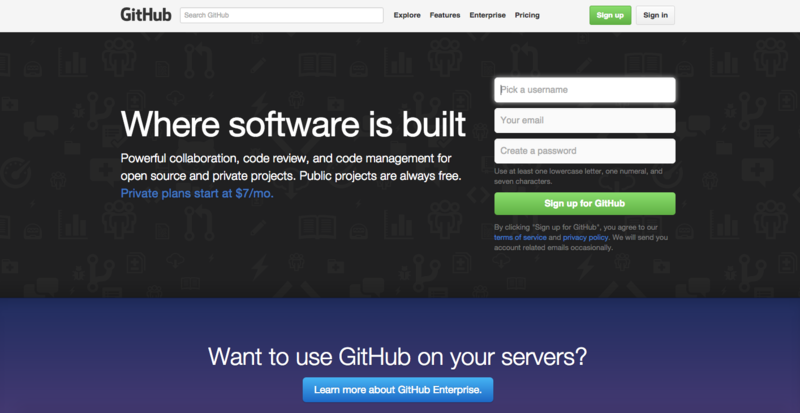 Github is a portal designed for software development projects using Git version control system. It was created using Ruby on Rails and Erlang. Airbnb service is a revolution in traveling. The idea behind the creation of the site was linking together people who want to travel cheaply and owners accommodations (especially private accommodation). As you see Ruby on Rails is the language of the future. Every day Ruby is gaining popularity and thanks to the growing use, more and more companies are looking for RoR developers. Read more why your project should be realized in Ruby on Rails: click.